Take the Kikkerland Zip & Flip Penguin on all of your adventures. 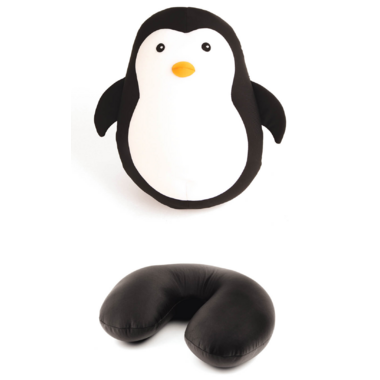 The cuddly stuffed penguin changes into a classic functional travel pillow. Microbead fill.